Telangana SET Result 2018: The result was declared yesterday on the official website. 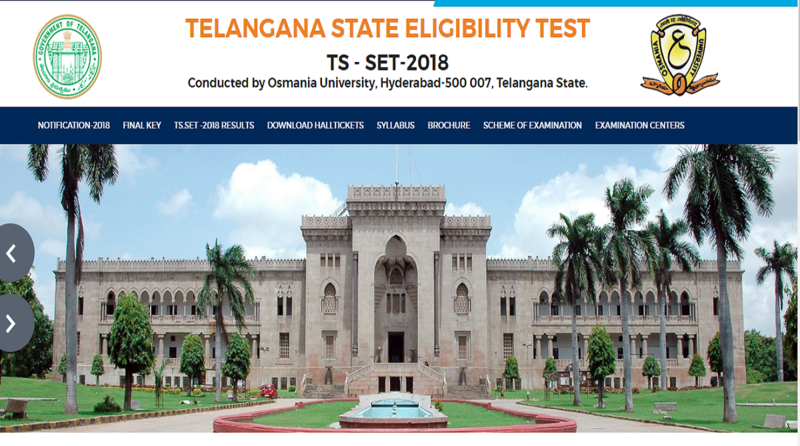 All candidates who have appeared for the TS-SET 2018 examination can check the result at TS-SET’s official website, telanganaset.org. Candidates should note that the TS-SET 2018 examination process was conducted by Osmania University, Hyderabad. Candidates should note that the official notification for the TS-SET 2018 was released on March 8. The application process started from March 14th and continued until May 15th. The admit card for the TS-SET 2018 was released on June 25 and the examination was conducted on July 15th. Step 2 Click on TS.SET 2018 Results tab on the home page. Step 3 The PDF document that opens will contain all the roll number of candidates who have cleared the exam. TS-SET examination is organised for the eligibility for assistant professor and lecturership for Telangana universities and colleges. The examination consists of two papers in which paper 1 is general in nature and paper 2 will test the knowledge of the candidate on the subject he is applying to.